Amateur Radio is an invaluable communication tool for after TEOTWAWKI and easily used by anyone with only a moderate amount of training required. A key part of any disaster scenario will be keeping in touch with other prepped people. It is reasonable to assume that traditional methods of communication – landline phone, cell phone, fax and internet will degrade in quality and availability, either slowly or quickly, so if you don’t have some alternate method of communicating, you’ll end up completely out of touch and disconnected from supportive groups of fellow preppers. Having multi-band radio receivers so you can receive AM, FM, weather, shortwave and miscellaneous other radio broadcasts is clearly an essential tool in your prepping kit. But before too long, you will feel the need to transmit as well as simply receive information – whether it is to coordinate with other members of your group during the day, or for as simple a matter as to ask your nearest known neighbor if you can trade something you need for something he might need, or for something urgent like needing assistance due to a medical or security emergency. All devices that transmit radio waves are subject to FCC regulations. Remember that just because there is a breakdown in social order, current regulations don’t just disappear and cease to apply – besides which, you’ll want to practice with your comms equipment prior to any disaster, so you should plan to, as much as possible, conform to existing FCC regulations. The FCC can sometimes be quite draconian in terms of tracking down and penalizing operators of unlicensed or illegal radio equipment – meaning either people operating on frequencies they are not permitted to use, or people using equipment for unauthorized purposes, or using radio equipment that is too powerful for the terms of their license. It is best not to run the risk of a confrontation with the FCC, because if you do commit an offense, you could be liable not just for the loss of your equipment and the loss of your license, but also for severe fines and potentially even a two-year prison term. In addition, many of the FCC rules simply make good sense in terms of how best to use the radio waves on a shared basis with all the other people seeking to use them too. Most radio transmitters require some sort of license – some licenses can be obtained simply by filling out a form and paying a fee, others require you to pass a technical knowledge exam (so as to become an amateur or ‘ham’ radio operator). Licenses are sometimes given only to businesses wanting to use radios for business purposes, other times only to individuals for personal non-business use. In a few cases, it is also possible to legally buy unlicensed radio transmitters. The most common of these are the ‘old fashioned’ CB radios and the more modern FRS radios. They suffer from some disadvantages however, including lack of range and sometimes greatly congested channels, made worse by appalling idiots playing on the channels and interfering with people having more sensible needs to use the channels. For all intents and purposes, all radio receivers are unlicensed. And note also while it is necessary to get a license before operating a radio transmitter and broadcasting in a frequency band that requires licensing as a condition of its operation, it is possible to buy a transmitter without a license, and to lawfully own it. You only need the license when you’re going to plug it in, turn it on, and hit the ‘Transmit’ button. 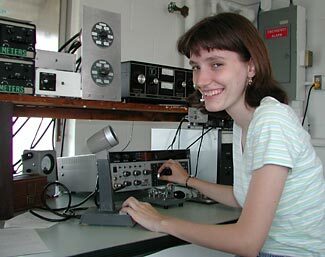 If you become a ham radio operator, you get automatic permission to operate transmitters in more frequency bands. You’re no longer stuck with the limited number of licensed and unlicensed frequency bands and the equipment limitations also imposed on such uses. You can also use more powerful equipment with better range, and you can use frequencies that are much less congested. There are three categories of ham operator, with successively more difficult tests to pass in order to become licensed. The lowest category is the Technician Class. To get a Technician class license you need to sit a 35 multi-choice question test, and get at least 26 answers correct. You no longer need to be proficient at Morse Code (the need to be able to send and receive Morse code was abolished in 2007). The 35 questions are selected from a published set of 396 possible questions, so it is possible to simply do a bit of ‘rote learning’ and memorize the answers to these questions without needing to learn much in the way of underlying theory or electronics. But because many of the questions are to do with the rules and regulations rather than technical aspects of radio operation, you do need to do some study prior to sitting the test, even if you truly know all about radios from a technical perspective. Getting a Technician’s license is a great first step, and massively opens up your options for short-range radio communications. Basically, you will be able to use a variety of types of radios that transmit in the VHF and UHF brands, and all such radios are essentially range limited to ‘line of sight’; and indeed, sometimes it is quite literally line of sight – if there are obstructions between you and the person you’re hoping to communicate with, you’ll not be able to do so, or only at greatly reduced ranges. There are ways to extend the practical range of your communications by adding repeater stations to rebroadcast your transmissions on to another area, but in an extended period of loss of normal civilization and services, it is unrealistic to expect repeater stations will continue in operation, because they of course rely upon electricity to function. As soon as the power grid goes down, and possibly after a very short period of battery back up operation, these repeater stations will go off the air, too. Yes, you could set up a PV (solar cell) array and batteries as a way of making a repeater station into a self-contained independently operating unit, but you’d need a sizeable PV array, good sunlight, and big batteries if the repeater was to operate 24/7 and carry much traffic on it. There’s another approach which might work better in many cases, and which will also extend the range of your radio communications massively – switching to HF bands instead of VHF and higher. This will give you the ability not only to have line of sight and repeater-augmented additional range within your local region, but will give you coverage across much of the US and sometimes all the way around the world. Your use of ham radio then switches from being a tactical level service allowing you to maintain contact with other local members of your own group, to instead becoming a strategic asset, and instead of communicating primarily with fellow group members, you now have the ability to contact fellow hams in the US and beyond (there are about 700,000 hams in the US and perhaps 3 million world-wide; many hams are also, to a greater or lesser extent, also preppers). You can use the ability to communicate beyond your immediate zone for a huge range of things. You can coordinate trading of supplies (this is a bit marginal in terms of FCC regulations which prohibit using amateur licenses for commercial purposes), security information, weather information, and general news about the evolution of the problem that disrupted society and the recovery of the country – and world – from that problem. Information is power. HF radio gives you access to much more information than you’d otherwise get during any massive disruption to normal society and its services. And while the news you get from outside your area might not always be good, your sense of isolation is reduced, and with it, you can build up that essential element of your survival – a positive feeling of hope for the future. So now you agree that being able to use some HF bands will be an essential part of your communications strategy. To be granted permission to use HF bands, you need to pass a second test – the FCC’s General License test. This is in the same format as the Technician test (35 multi-choice questions, with a need to get 26 correct to pass, and a slightly larger pool of 456 questions from which they are drawn), and indeed some of the questions in the General test are identical to those in the Technician test. So you’re part-way to passing your General License as soon as you’ve obtained your Technician license. There is also a third category of ham license which gives you access to slightly larger frequency bands in the HF spectrum – the ‘Extra’ License. This has a similar test again, with 50 multi-choice questions (and 735 questions in the ‘pool’ from which questions are drawn). The questions are appreciably more difficult, and you are required to get 37 of them correct. Of course, although full understanding of the questions/answers requires a huge amount more knowledge, they are as susceptible to ‘cram-learning’ as are any other pre-disclosed multi-choice tests. Some people will want to get an ‘Extra’ license just because they see it as a challenge. Others might worry about congestion on the HF bands and want to get into the more exclusive remaining bandwidth that only Extra licensed operators can use. Our guess is that the congestion on the HF bands will be reduced in some type of post-TEOTWAWKI scenario, and also that some operators will think nothing about ‘trespassing’ into the parts of the spectrum currently reserved only for Extra operators in such a scenario. Furthermore, with many fewer Extra licensed operators out there to start with, there will be fewer additional people to potentially communicate with if you too get an Extra license, and all those Extra licensees can be reached through General frequencies, too. So while we urge you to get a General class license, we view the Extra enhancement as being of minimal value for preppers. Keen ham enthusiasts will of course want to get an Extra license. Note that although there are about 700,000 ham radio operators in the US, only about half have the General or Extra license that allows them access to HF bands. In order to get a Technician license, you need to pass one test (it is called the ‘Element 2’ test). In order to get a General license, you need to pass both the Element 2 and also the Element 3 test; and you can probably guess – an Extra license requires you to pass three tests – Elements 2, 3 & 4. You can sit these tests at the same time, and there is no extra testing fee for sitting more than one test at a time. And because you’ll be busy studying up a lot of stuff for the Element 2 test which will be helpful for Element 3 and even Element 4 too, if you are able to devote some more time, and if you already have a basic grounding in this material, it might make sense to try and do at least two and perhaps even all three tests at the same time, as the result of one single period of intensive prior study. Not to boast, but the writer found that his general knowledge, augmented by a couple of hours of study, was sufficient to easily pass the Element 2 test and to score better than 50% on the Element 3 test – not a passing grade, but indicative that not a huge amount more study is needed to upgrade your skills from those you develop to pass the Element 2 test to those needed to go on and get the Element 3 certification too. Otherwise, if you pass Element 2 now, then do nothing for a year, you’ll have forgotten much of the Element 2 material and you’ll need to re-study that as well as the new Element 3 material. And the same for Element 4, which builds on your knowledge gained in Elements 2 and 3. It is of course possible to just memorize all the questions and their answers without any understanding of the meaning of either the question or the answer. Some of the questions are frustrating in the sense that they ask you questions which you’ll probably not need to ever know the answers to, or which due to their complexity and volatility, you’ll probably print out and display on sheets around your transmitter equipment. In such cases, rote-learning is fine (for example, do you really need to commit to memory which bands allow communication with space stations). Some of the questions are self-serving – do you need to know the underlying complexity of how the test questions are designed and administered to you? Again, learn those by rote. And do you really need to understand all about the ITU, CEPT and IARP agreements before answering the question which asks which one gives reciprocal operating rights between the US and some Central/South American countries and their hams (it is IARP in case you really must know). This too is something you might simply learn by rote. But much of the general radio knowledge and theory is stuff you should learn and understand as comprehensively as possible. If you do find yourself confronting a TEOTWAWKI situation, you’ll probably be the only resource available for maintaining and managing your radio system, and some underlying knowledge and competency could then become essential when you’re trying to work out why your system isn’t working as you think it should, or how and when to best punch out a signal to the other coast or beyond. The good news is that the license you receive is good for ten years, and is completely free of charge. Amazing – the government provides this to you completely for free. You don’t need to re-sit the tests as long as you keep your license renewed every ten years. You will be semi-randomly assigned a call sign identifier; and if you wish, you can apply for a vanity call sign to replace the initial random call sign. This will cost you just under $15 for a ten-year vanity call sign. Vanity call signs can be shorter and/or might contain some special combination of letters that means something to you such as your initials; but not all number and letter sequences are available, due to a need to coordinate your call sign with those of everyone else, everywhere else in the world. The questions used for the three tests are updated once every four years. During the four year life of each set of questions, there are occasionally minor tweaks or changes – primarily in the form of changing the wording in questions and answers to make them clearer, and occasionally withdrawing a question entirely if it is superseded by changes in FCC regulations or general usage and practice. If you are buying or otherwise accessing study materials and guides, make sure they relate to the test set that is currently in place. Older versions of books and software might be out of date. Extra : These expire June 30, 2016. Note that the previous test series expired on 30 June 2012, and there are still some places selling or otherwise providing study test materials based on the older test series. Make sure you’re basing your study on the new set of questions. The FCC of course has a website, but it isn’t very immediately helpful or useful to most would-be ham operators. The major organization for amateur radio enthusiasts is the American Radio Relay League or ARRL as it is generally known, and their website can be considered as the prime starting point for any research you need to do. You can find details of when and where you can go to sit the tests on their site here. It seems that you never have to wait more than a few weeks to find a reasonably convenient testing location. The official question and answer pools for each of the three exams can be seen on the NCVEC website. This website has a free downloadable program that you can use on a PC to test yourself on all the questions for each exam. It is reasonably good, but lacks the diagrams that some questions refer to (download those from the NCVEC website). This site generates sample tests from the test pools, so you can test yourself ‘for real’ and see how you are progressing. This is another site which generates sample tests, and sometimes also provides study guide material for the questions being asked. Here is probably the best book to help you learn and prepare for the Technician License , and the companion book for the General License . This is the third book in the series, for the Extra License , but make sure the link takes you to the correct edition (due to the test series changing in June 2012). All three books come with excellent software that help you evaluate your study and, if a question puzzles you, they link you to the appropriate section of the book so you can selectively study only the parts you need to know, rather than learn everything in the book in total. Using radio services that are restricted to licensed ham amateur radio operators will give you enhanced local/tactical communications capabilities. Getting an advanced ham license (either the General or the Extra license) will allow you to use potentially globe-circling HF bands as well as local/line-of-sight VHF/UHF bands; the ability to communicate with people outside your immediate area might seem like an irrelevant luxury in a time of maximum difficulty, but the information you can share with people further away is more likely to become an essential element of surviving and prospering.